LANSING, Mich. – Lansing Ignite FC announced the acquisition of forward Alex Bruce on Monday, with the 20-year-old set to join the club on loan for the 2019 season from USL Championship side San Antonio FC. The transaction is pending league and federation approval. Bruce originally began training with SAFC towards the end of the 2017 season before signing his first professional contract with the team in January 2018. In his rookie season with San Antonio, Bruce scored three goals and completed 72.7 percent of his passes in 13 regular-season appearances. 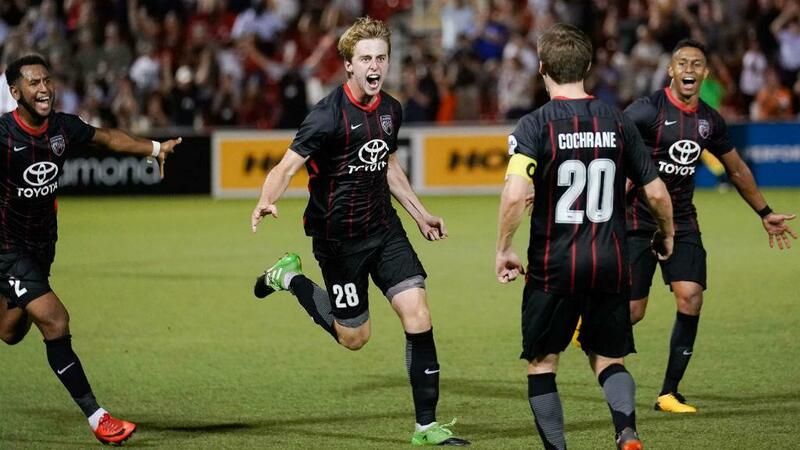 Originally from England, Bruce appeared in 31 games for the Texans SC Houston U-17/18s from 2016-2017, scoring 17 goals in 29 starts and leading the team to its first-ever U.S. Soccer Development Academy Championship.